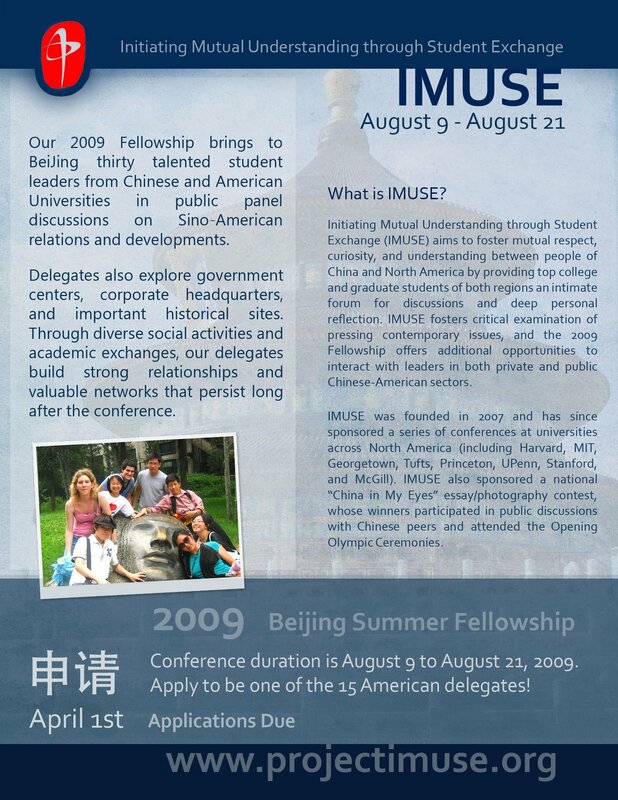 Project IMUSE (Initiating Mutual Understanding through Student Exchange) is a nonprofit organization offering undergraduate students around the United States with a unique fellowship opportunity in China. Each fellow will spend two weeks with other fellows from around the US and China, exploring US-China relations by attending events, learning from each other, and exploring their role in the future of their countries. Fellowship delegates will be provided will full living accommodations in Beijing for two weeks as they participate in a series of group discussions, cultural activities, speaker events, and guided tours that will promote both their understanding of China and of their Chinese peers. 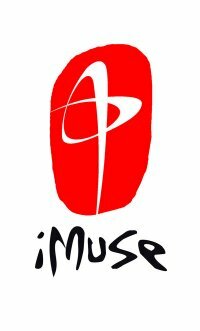 Please refer to the IMUSE website for more information. Applications are due no later than April 1, 2009. Also, join the IMUSE Facebook group and click on the flyer below for more details! Great Firewall of China Strikes Again!